We've made about a zillion sun catchers and this just adds to our list. I think this will be a favorite among them all. These were made purely by chance and those always seem to be the best projects. 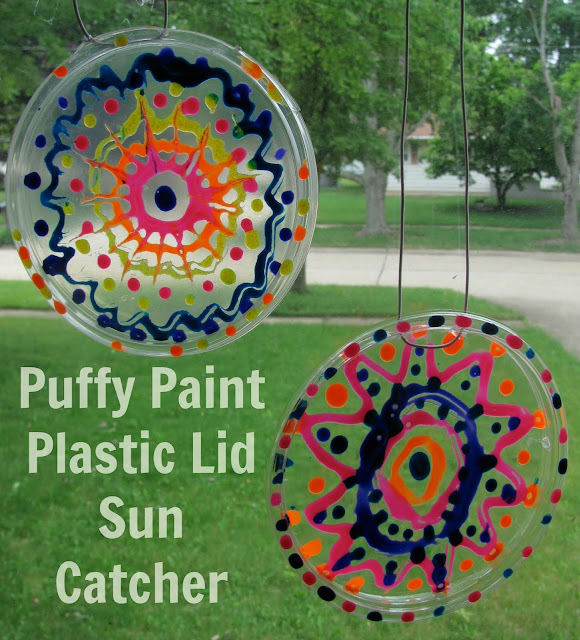 My daughter C had an art kit with puffy paint and there was quite a bit left so we decided to use our always abundant supply of plastic lids to create these wonderful sun catchers.